celeste, thomas was alone, invisigun heroes, getting over it with bennett foddy, and blind speedrunning. The movement in this game is one of the best I have used in a platformer, and the twist is actually really cool. Thanks for playing the game, and your encouraging comments! I'm glad you enjoyed the game, and thanks a lot for your feedback. I did, in fact, try to implement coyote time jump by essentially increasing the bounding box for checking if player is in ground, but that had the side-effect of introducing the wall jump capability, i.e. 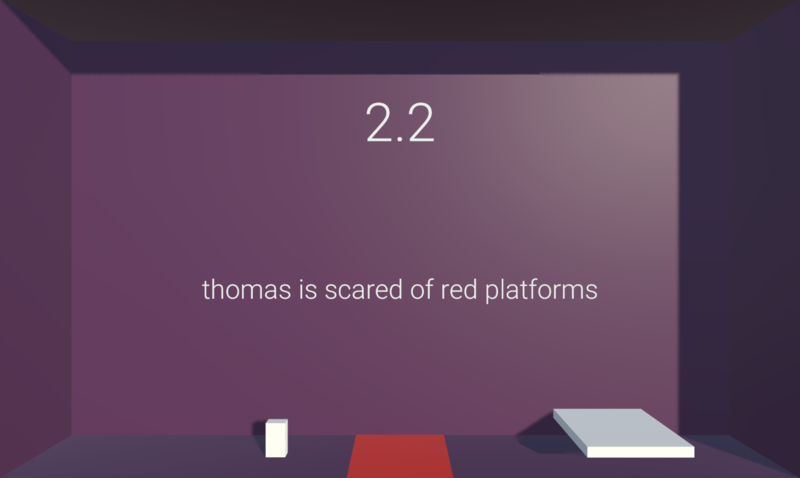 the player can just jump from the side of the platform without ever being ON the platform. Do you know of any links/resources on how to implement this properly in Unity? The background music is by: https://freesound.org/people/frankum/, and this is the particular one: https://freesound.org/people/frankum/sounds/393520/. I just asked on Tim's discord, and someone suggested this to me. Played, beat the whole game, and i feel accomplished. Difficulty is very well balanced. Screen transitions are a nice polish, as well as the dialogues, and music. The second best game i played so far. Thank you for playing the game, and I'm glad you were able to finish it and enjoyed it. I did use a non-default font (Roboto), but I guess I could have picked something even better. I wouldn't have been able to animate the 3d character though, and so it would have looked really unpolished. Thanks for your comment. I am happy you appreciated the little things I did to improve the polish. 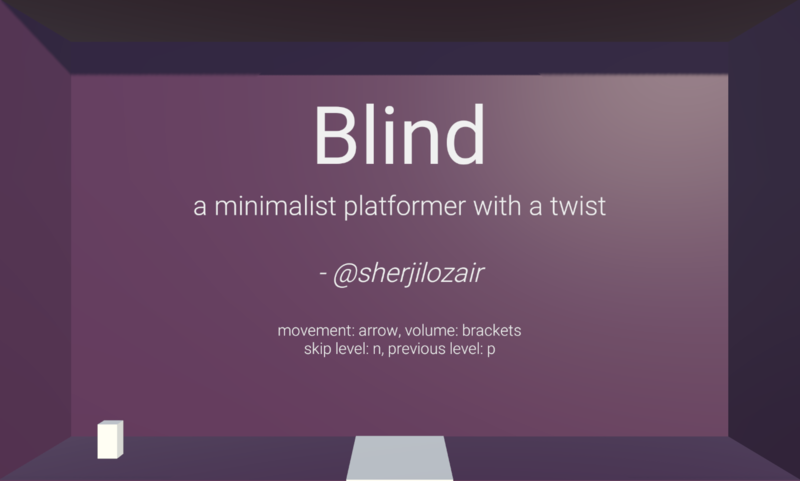 Since it's a jam game and the topic is inspiration, I thought it would be okay to use the name. Of course, I'd never do that if this was made into a full game. Lucky there is a skip button. 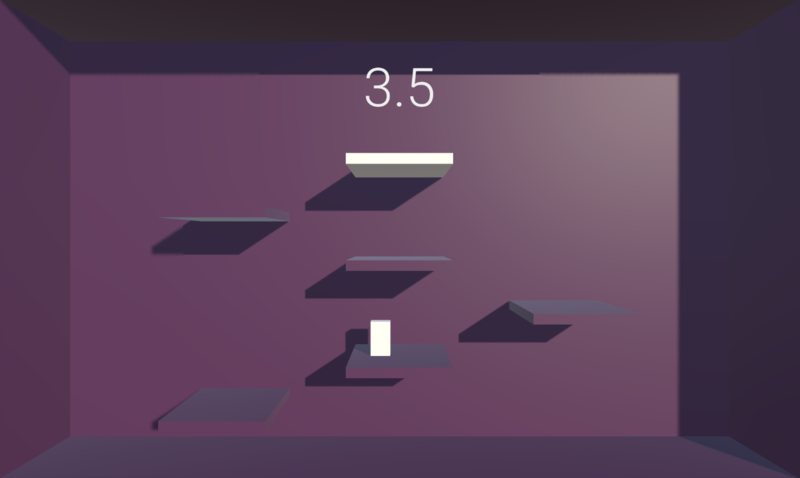 some of the levels are hard you have to mange time in your head when you did jump on some platforms. but sometimes I notice that the jump doesn't react very well when just landed on a platform. but it is a intersecting concept that could use some love in it. Thanks for playing the game, and the feedback. I'm glad you liked the concept. I do acknowledge that the jump wasn't perfect. I'll keep this in mind for my next game. Thanks again! without that skip to next level option, I wouldn't have reached the end. Very cruel game, definitely frustrating, I had to walk away from it for a bit to regain my composure. This is a compliment coming from me! Good job!! Thanks for playing the game. Did you manage to finish it? If not, which level did you end at? No, I still couldn't make it past that one, I get to the last platform and time runs out, I plan on going back to it though, I'm interested to see how the game progresses and how far it will push my ability. The whole time trial platformer idea is pretty cool, but I'm not so sure I like the "twist". Or maybe I would prefer the invisibility without being timed. It's just that the combination of those factors makes it hard, and not in a challenging way, but a frustrating way. Perhaps you could add more assistance, like clouds of dust that pop up at your feet when you land on a platformer. Because as it's implemented now, there are things like hearing you land that can throw you off if you landed somewhere you didn't expect. Also, the timing is set very aggressively. You seem to base the time off of a speed run when you're not invisible, but when you are invisible, it can be really difficult to know how far you are from a ledge, for example. Another problem is that the jump key is just not always responsive. The jump needs to really be on point if you want people to speed run while invisible. They need to be able to queue up jumps as they're about to touch the ground. Right now, there are times when I try to jump, and it just fails to register and I fall off a platform. It just feels like you're trying to make a skill-based game, but in the end, there's too much luck involved. Another way to go might be leaning into the invisibility more and focusing on making that fun. Like perhaps you're just invisible the entire game, and instead of being timed, the challenge is learning to do the jumps without ever seeing your character. And that way, at the end of the game, you could have a reward like reaching a machine that turns you visible again. Overall, the game is actually really fun. The jumps and level designs feel really solid. Good basic platformer. But the combination of factors contributing to difficulty makes it maybe a little too challenging for a lot of people. Thanks for the wonderful in-depth review. Yes, there are a number of possible variants with this idea. I didn't get to try them all. The dust flying off marking the landing spot sounds good, and could make this game more accessible. I do realize that the jump sometimes doesn't work. I tried hard to understand why, but couldn't solve the problem. Also, while playtesting on my own, I had learnt the "proper" way to jump (you have to wait a bit in the ground before jumping again), and so I couldn't reproduce the jump problem. Thanks again for your feedback. 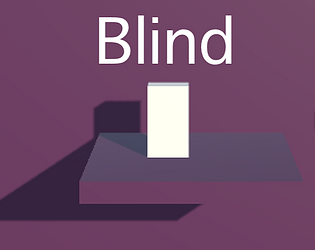 My next game will have invisibility mechanic as well, and I will incorporate your feedback. To those playing this game, you can press the P button, if you want to go to a previous level for practice. I, beeng bad at platformers, really enjoy the twist. Nicelly done! Interesting idea for a platformer. Nicely done. Thanks for playing the game! You can go the previous level by pressing the p key. Yeah, I know the time limits are quite tight, but I realized that challenge is a huge part of the game. Great challenging game, worth the time.